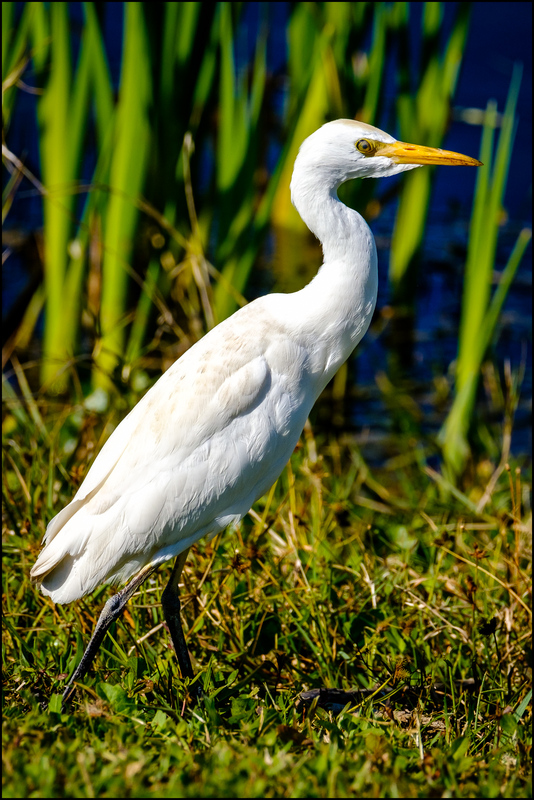 Cattle Egret are smaller than the Great Egret. They also have feathers that turn brown when they are in mating mode. You can just see some brown on the top of the head of this one.